Poker is the most popular card game in most of the world. It is played by millions in dozens of countries. For hundreds of years it was played with real cards on a real table, with every player looking each other in the face. Poker existed only in dining rooms, in bars and casinos. That was until the late 1990’s, when online poker burst onto the scene, and brought the ancient game into the modern digital world. 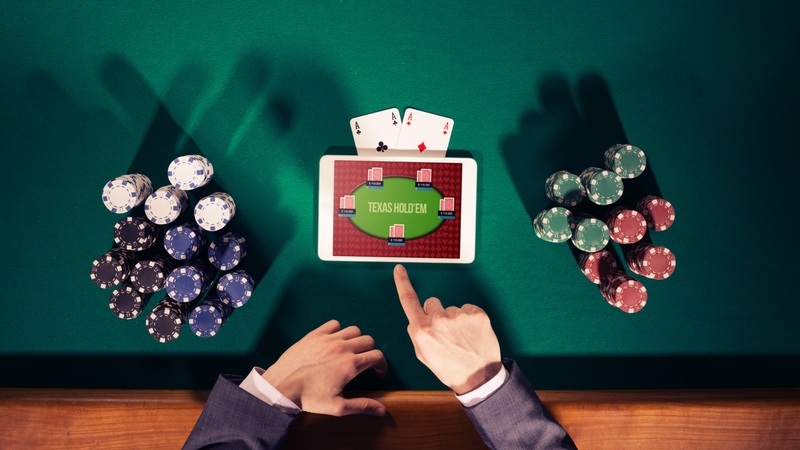 People who are used to offline poker often assume that playing online is an entirely different experience, and that their hard earned skills are not applicable in the online realm. Equally, players of online poker often feel that playing with real people will be much harder than they are used to. This article aims to explain that while there are significant differences between the two experiences, they are more similar than people often believe. Playing poker online can seem utterly overwhelming at first. For many experienced players of offline poker, the sheer quantity of players and tables can seem impossible to understand. However, when this initial rush has been over come, there are a number of aspects to online poker which explain its enormous popularity. Playing on online poker pages allows you to play at several tables at once, doubling or even trebling your potential winnings at any one time. Equally, playing several tables at once means there is scarcely a moment without excitement. Playing online allows you the comfort and convenience of playing from wherever you like. While the popular image of an online poker player might be that of a man sat alone in his underwear at home, online poker players are increasingly from all walks of life, and choosing to play in all kinds of situations, from on the bus home, to on their lunch break. Online poker offers players the comfort of choice. Playing poker in the flesh is in many regards a different experience. Playing against people you can see, with all their potential tells and giveaways makes the game a much more visual experience. Players who are used to playing online are often initially at a loss for how to play without their customary amounts of data to view, and card histories to peruse. However, playing with real people can offer a thrill entirely of itself. Searching people’s faces for any reaction to the cards, watching for physical tics and movements, guessing at players’ intentions by their bets – these are the challenges of the offline game. Many players gain as much pleasure by reading the expressions of their friends as they do by learning the potential tell of their opponent in the casino. Playing online does not offer the same joy of discovery as the offline game does. There are tactics that work in both types of poker, and there are tactics which are applicable only to one or the other. In offline poker, it is quite possible, and indeed even useful to ‘psych out’ your opponents. Making your opponents believe you are giving away aspects of your play when you are not is possible in both forms of poker, but using your body language is only possible in the offline form. Some players like to keep up eye contact with their opponents, or try out fake tells such as tapping their fingers against the table. While aggressive play is possible online, this kind of physicality is not. Equally though, there are tools online which make the game a different proposition. Statistics about your own and your opponents play can be kept in records online, allowing you to make judgements about the game. Hand trackers allow players to record all of their hands, and after the game study where they might have done better. Having huge amounts of data available to you makes playing online potentially a more analytical experience. Choosing whether to play particular hands or not is more of an aspect to online play. With less opportunity to bluff, online poker encourages players to be brutally realistic about what likelihood they have of winning with each hand. Playing either form of poker is often seen as choosing a side – online vs offline poker if you will. However, skills in either are generally useful for both. Finding a way to make your skills from one form apply to the other is perhaps one of the most interesting ways to succeed at the game. For long term players, swapping sides can be a way to reignite their love of the game.